Rock-N-Roll with a 5 Carb Rapp-N-Roll! Super Charge Your Morning with this delicious, and very sustainable 5 Net Carb Breakfast Wrap! Breakfast style wrap with egg whites, egg, bacon flavored protein bits, redskin potatoes, roasted peppers, cheddar cheese, onion, & pepper spices. 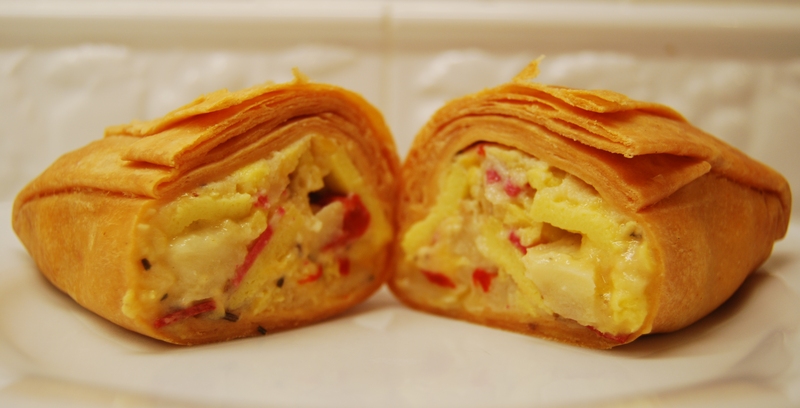 Order your Rapp-N-Roll Breakfast Wrap and get 10% off entire FIRST order! Simply add “CLL” (a Carb Light Living™ exclusive offer) in the coupon code box at check out. LowCarb-R-Us.com offers our personal favorites including the breads, bagels and rolls from the Carb Kruncher line, and the Eat-Rite brand low carb frozen pizzas, wraps and other frozen vegetarian (soy based) meals. Follow these steps when ordering to get your 10%! 1. Register on LowCarb-R-Us.com as a new customer and it will open the profile page. 2. Fill in the profile page as a new customer or go to My Account and put in your address. 3. Select the wrap, and/or any other item(s) sold by LowCarb-R-Us.com – you get 10% off everything! This offer applies to your FIRST time order with LowCarb-R-Us.com Click here for the Breakfast Rapp-N-Roll.